New Austin is the beez neez, love being out there. If they ever introduce ranches, i'm gonna buy myself some land in Cholla Springs cause i love RDR 1 too much. Except they open up borders with Mexico, then i'm buying ranch near Chuparosa. 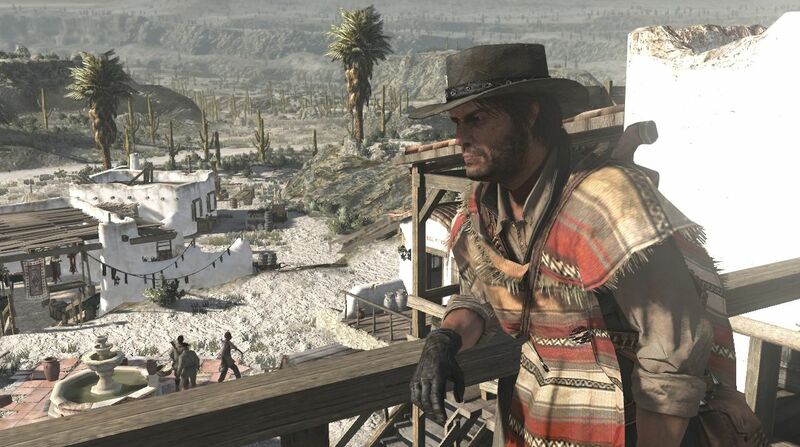 Yeah, I can't be the only one who prefers New Austin and Mexico from RDR1 over the new regions added with RDR2. It's the Western feel. That Western feel is so strong in New Austin and Mexico. Screams Dollars Trilogy. I mean, just look at this photo and tell me it doesn't remind you of New Austin and Mexico. 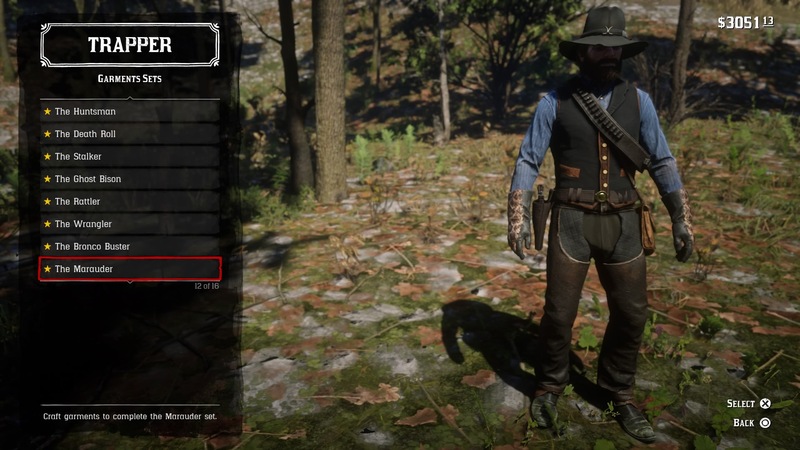 Imma need better chaps in this game tho. 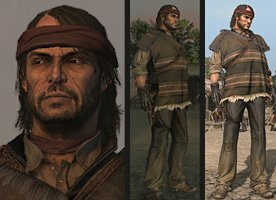 I need the ones you get with Arthur's nuevo paraiso gunslinger outfit or Bollard Twins Outfit in RDR1. Really any chaps with fringes as well as jackets with fringes. Nine levels to go till I can buy a Turkoman and retire to a farm in the countryside. Rockstar pls for the love of god add a grindable co-op mode for exp and do it quick. ^^ I'm with ya on that one, i ain't done pvp matches in like two days now...no motivation for the grind at the moment. Currently sitting at lvl 35...i just needs that push or something different to get to 50. Did some heavy grinding, five levels to go now. Might grind the last five out tomorrow, we'll see. I really love the Marauder chaps ! Level 56 achieved. Turkoman bought, the exp grind is ovah! Back to making a bit of moolah now I think, splashed out on a new saddle, stirrups, stable slot and insurance for my Turkoman so it basically halved my cash. To level up in general I've been doing a bit of this, that and everything. Missions, little bit of PvP, hunting, challenges (these give a lot) and some cop grinding in various towns. To grind out for the Turkoman (I did like 7-8 levels in the span of a few hours)) I used a spot in St Denis just north of the stables where you kill lawmen from horseback, headshots and fire from the hip gave 35 exp per kill on lawmen also on horses. That plus the various challenges I completed gave a TON of exp. its easy to make a grand when you can get lost in the Showdown Series Playlist(Large or Regular) for a bit; I got the clothes and weapons I really want its just saving bread time I guess, which in turn will help out if properties come into play which could take a while, but would probably cost bank when they get here. 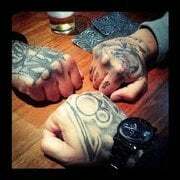 That is if they decide to do them and if they do how will they be done? I guess they could do something like once you step onto your property ground nobody can attack you and nobody can see you(If someone has the same property or land as you) unless you are in a posse or you invite someone onto your property. I don't know about you guys, but I don't know if they will do properties if we have camps.......with Cripps staying there and all.